The iconic Dutch windmill is getting a high-tech makeover with a big eco-friendly boost. 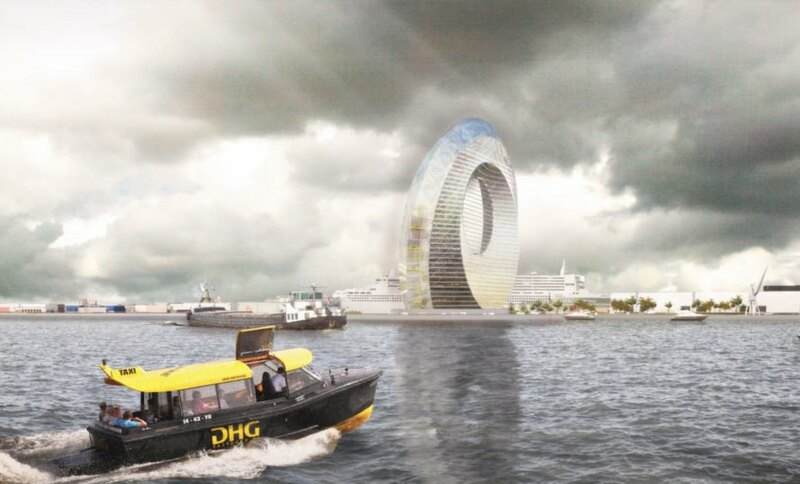 Windwheel Corporation unveiled today their new designs for the Dutch Windwheel, a circular building set on the water that harnesses clean energy and houses private residences as well as public venues. 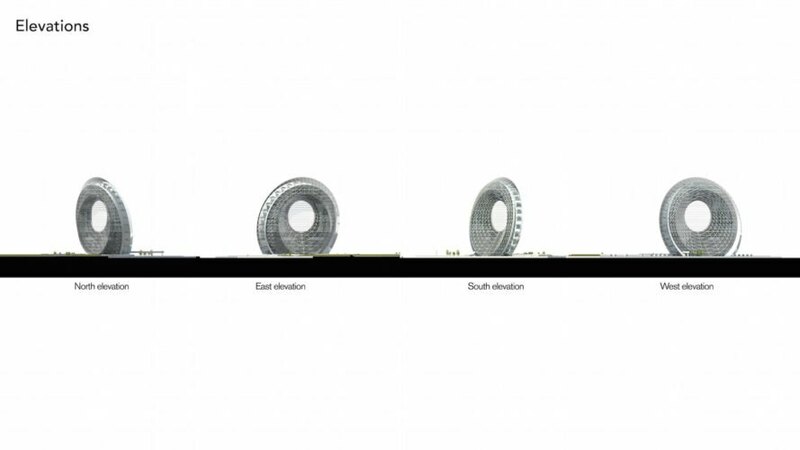 Created for Rotterdam, the futuristic Dutch Windwheel aims to transform the city skyline and provide an eye-catching landmark that’ll serve as the new benchmark for healthy, sustainable design. 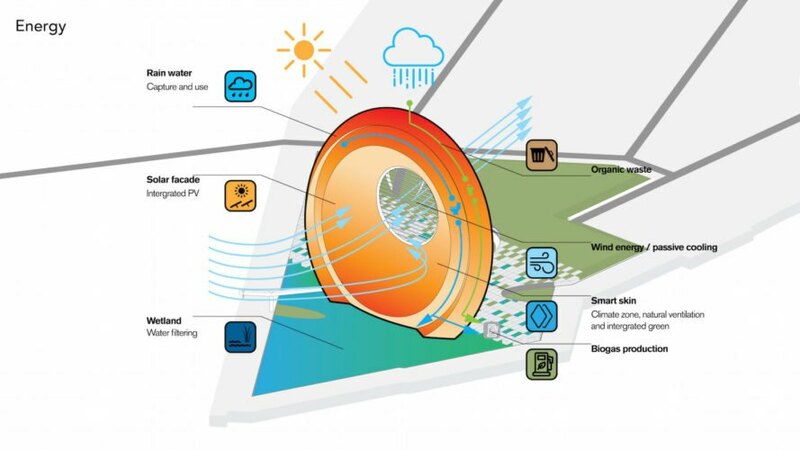 First unveiled in mid-2015, the Dutch Windwheel 2.0 fleshes out the project’s programmatic functions, circulation patterns, and energy systems in more detail. 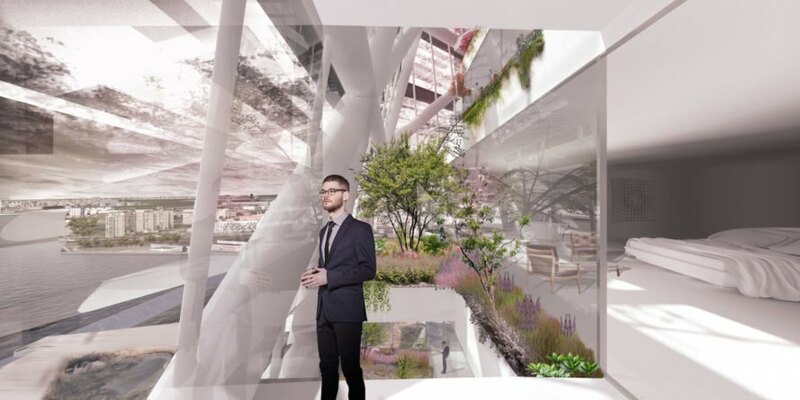 The innovative Dutch Windwheel comprises apartments, a hotel, a space for short-stay housing, commercial and cultural space, a cruise terminal, and a sky lobby with a restaurant at the top of the building. Rainwater will be captured and reused throughout the building. 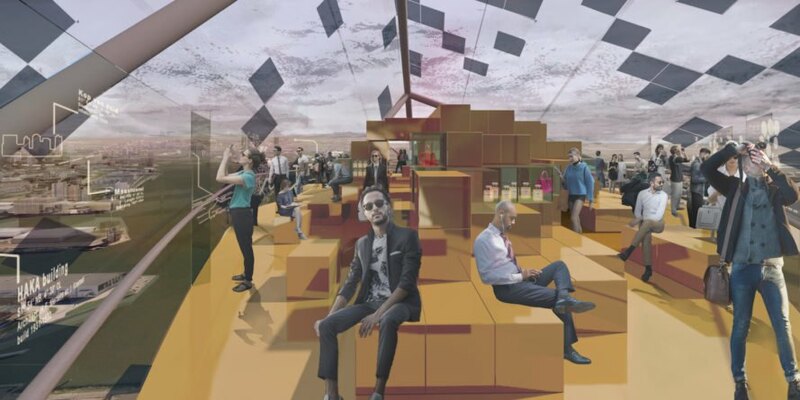 Similar to a Ferris wheel, the Windwheel will be equipped with mobile cabins that transport visitors to the highest point of the structure. 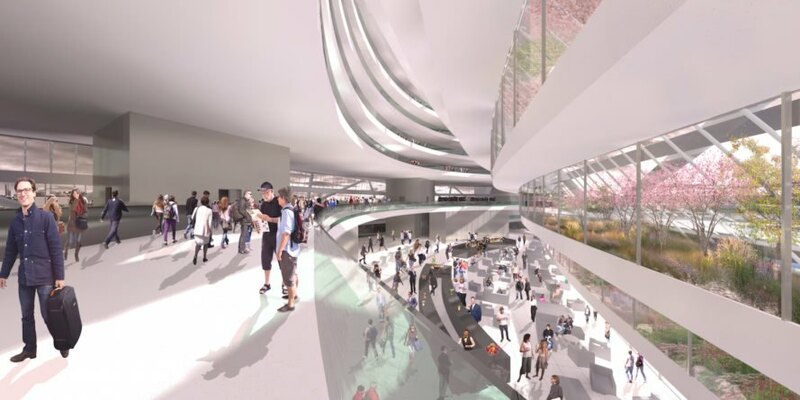 The disk-like building will be built with locally sourced materials and wrapped in a smart plant-covered skin that reflects unwanted solar heat gain while letting in natural light and ventilation. 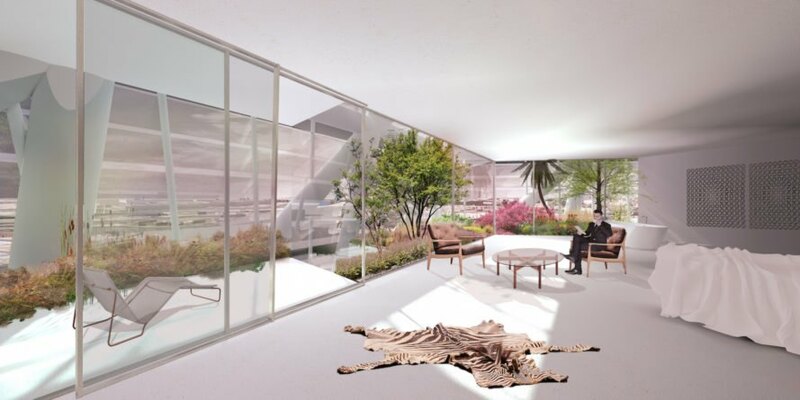 The facade will be integrated with solar panels and wind energy will also be harnessed. Organic waste will be collected for biogas production.